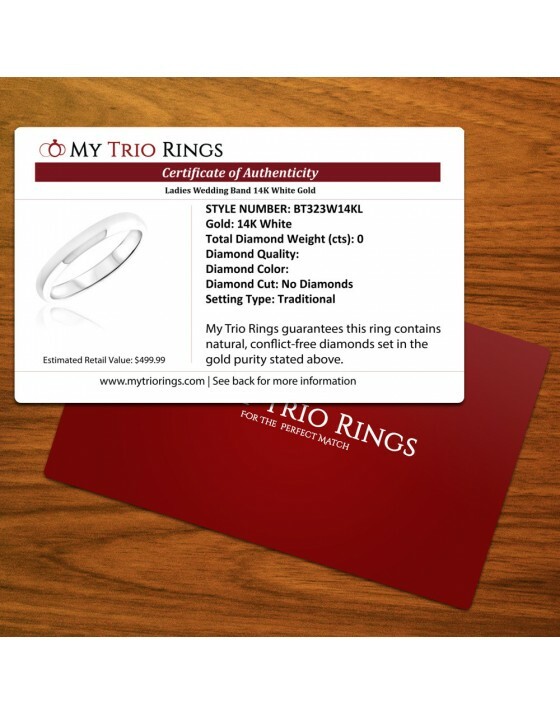 This classic wedding band represents the strength of your foundation with one another. Its sleek simplicity with unadorned 14K White Gold makes it the perfect fit next to the extravagance of the engagement ring. This ring also perfectly matches the coordinating men's band in the trio set. 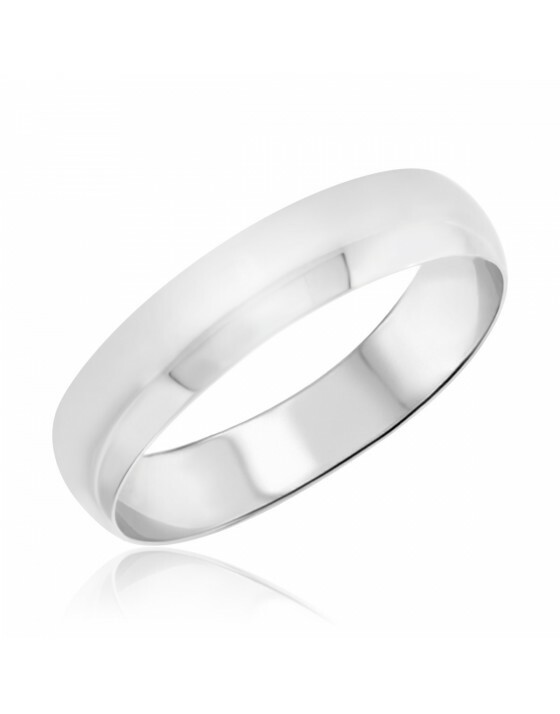 If you’re a traditional, classy man, you’ll love the simple sophistication of this wedding ring. 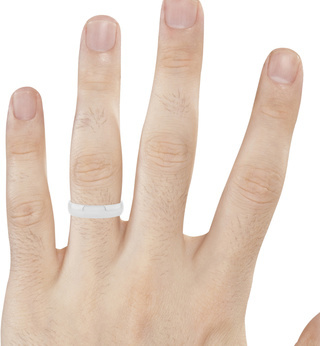 It has a classic design with a substantial width of 5mm, so it won’t look either too small or too large on your finger. 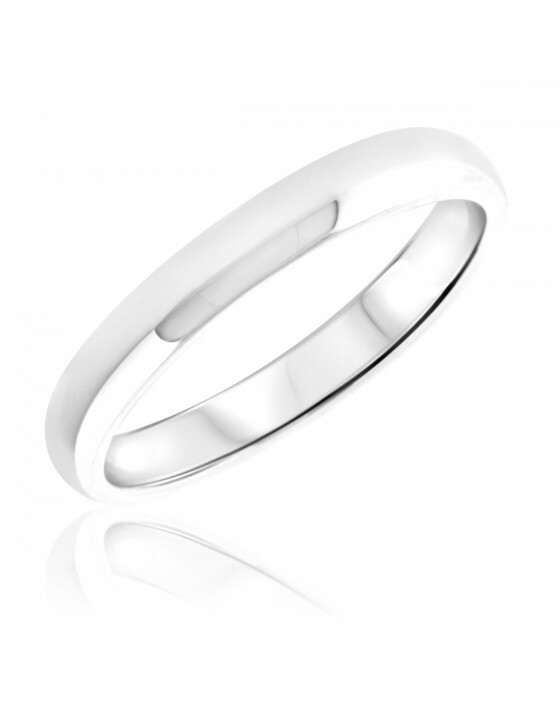 The high polish gives it the appeal you’re looking for and the 14K White Gold adds a fresh take on traditional White gold bands. 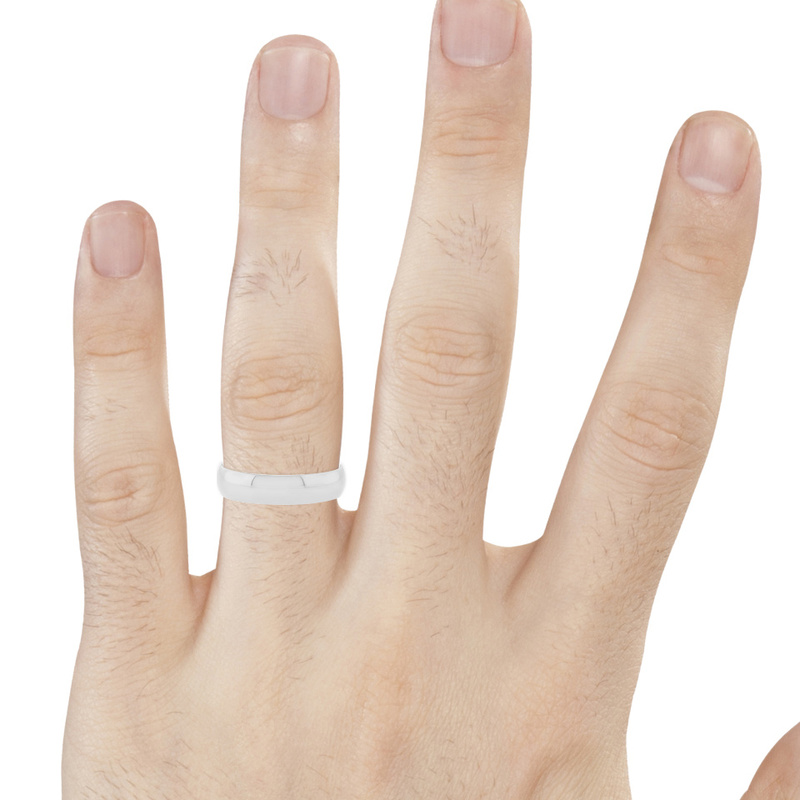 This ring remains unadorned with any decoration, perfect for the modest man. 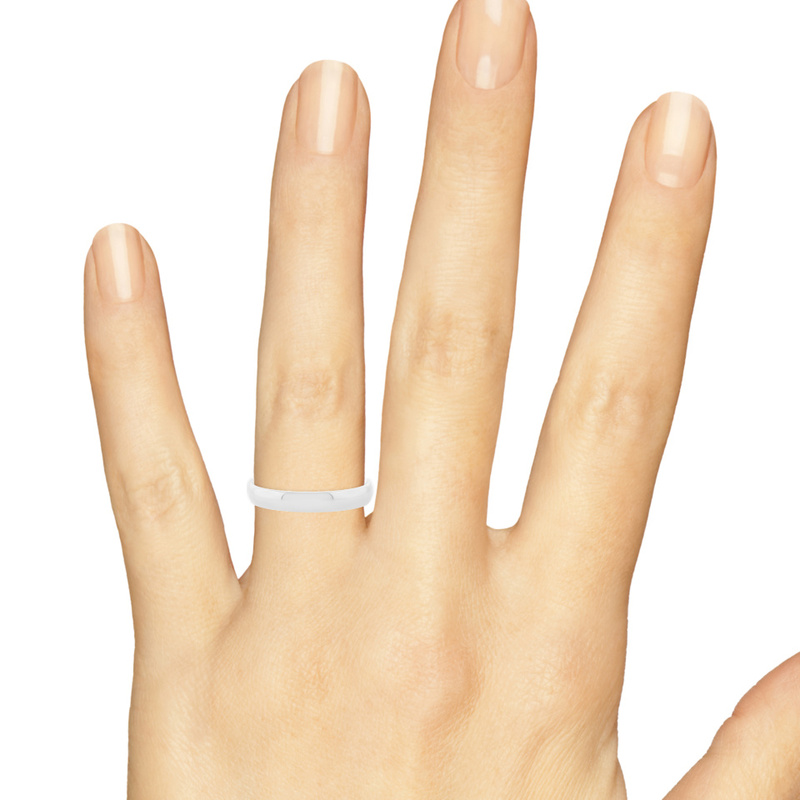 Its Euro Fit will help it feel comfortable on your hand, reminding you of your everlasting love. 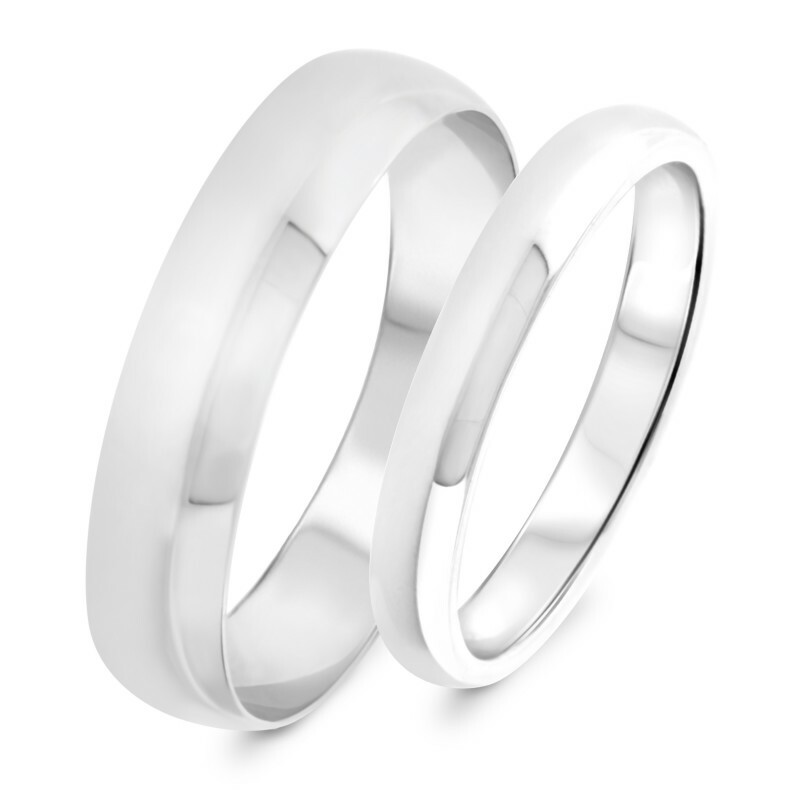 We really like our rings, they\'re simple bands but they look great. I gave 4 stars because I wish they were thicker bands. Overall we are happy with our rings. 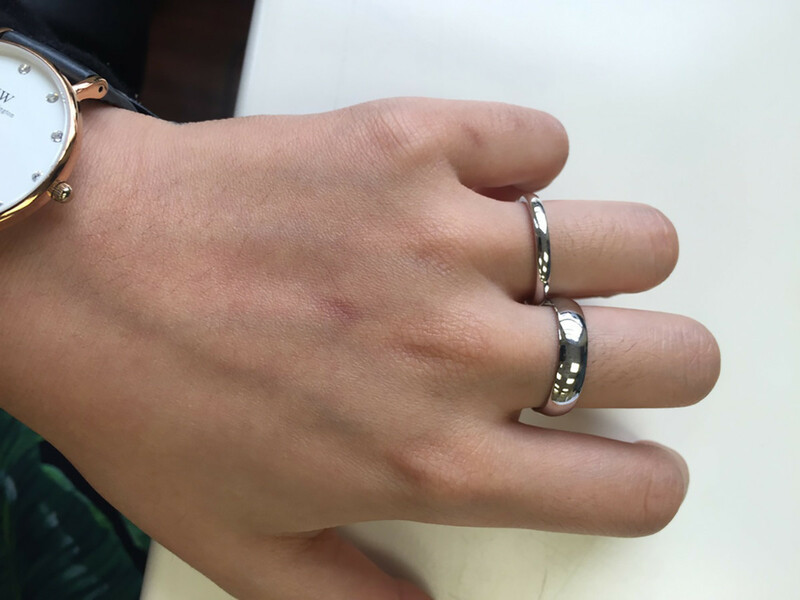 The rings arrived on time although I did have to contact customer service to ensure this (I paid extra for faster shipping and they were not shipped in time, they upgraded me for free). The rings are beautiful and I am still amazed by the affordable price. The rings are perfect! Sizes true and absolutely fastest delivery encountered on the online market. 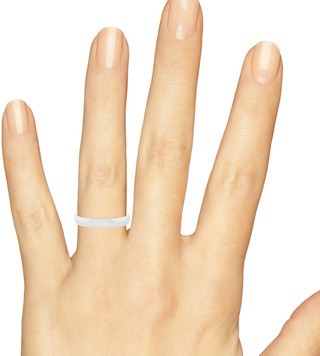 We love our wedding bands! Amazing price! I'll totally suggest mytrioring to my friends and family! Thank you!